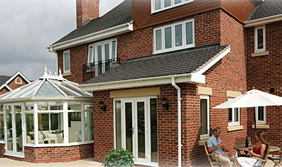 Altus Windows Hinckley is a trusted name in quality replacement windows. We have been in business for 27+ years specialising in quality UPVC double glazed windows to our customers, proudly serving Hinckley, Leicester, Leicestershire, and Warwickshire areas with windows, doors and conservatories. 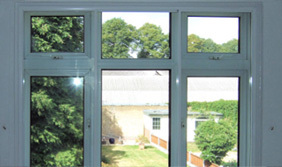 Altus Windows offer the most advanced UPVC double-glazed replacement windows available. All of our replacement windows are 'A-rated' energy saving windows, and offer low ongoing maintenance and high security features such as multipoint locking and double-glazing. Secondary glazing is an effective and cost-efficient way of insulating and sound proofing your windows, by fitting an extra window to your existing window. Each of our UPVC front doors, back doors, french doors, and ultra-modern composite doors are tailor-made and designed to be an elegant centre of attention. 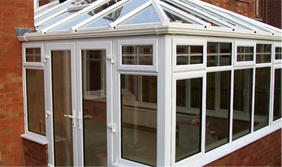 Altus Conservatories offer great space and value. We provide a tailor-made service in both the design and construction of your conservatory to ensure that the final product is the ideal addition to your home. We will work closely with your in all stages of planning and development. Don’t forget all of our products come with a 10 year insurance backed guarantee! We are fully registered with FENSA and will provide you with a certificate upon completion. For more reviews or pictures please visit our facebook page. We would highly recommend Altus Windows after having all our windows, doors, fascias, soffits and garage door replaced by them. Nothing seemed too much trouble and we are extremely pleased with the quality of service and products, as well as being excellent value for money. We wished to have a garden room fitted to the rear of our property, which created a few design problems but Altus Windows offered some good solutions. Altus completed the work for us to a very high standard, giving us a really splendid addition to our home. We had lots of quotes for our replacement windows. When Altus Windows came round we were very happy with his presentation which gave us the confidence to place our order with him. The work was completed on time and the workmanship of the final job is exceptional. 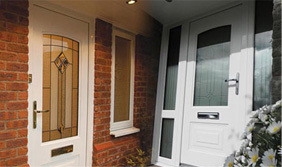 We have recently had our doors and windows replaced by Altus and we are extremely pleased with the work carried out. Gareth came and discussed our requirements and offered advice as to the styles of doors and windows that would suit our property - there was no hard sell. Altus Windows' fitters turned up on time, were friendly, professional and cleaned up at the end of every day. Most importantly the job was done on time, to agreed price and to a quality that exceeded my expectations. I have no problem recommending Altus Windows. Simply fill out this quick form and John will reply to your question as soon as he can. Please note that all fields below are mandatory, and John may choose to publish the question with his answer on this website (your details will be removed of course).